Imagine carrying your entire guitar or bass rig around in your pocket. When we say entire, we mean tuner, fx board or multiple pedals, amp head, cabinet, microphone AND 4 track recorder. That’s a lot, but now with iRig from AmpliTube, all of this is possible. 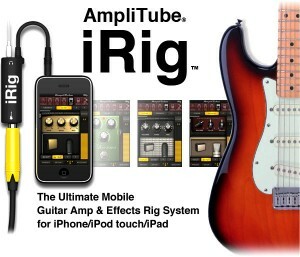 The iRig is a revolutionary product that allows you to connect your guitar/bass to your iOS device. From there, your signal travels through the AmpliTube iOS software, to give your guitar sounds. To use the iRig, you simply plug the 3.5mm TRRS end into the headphone jack of your iOS device. Then plug your guitar into the 1/4″ jack using a standard guitar cable. To monitor your sound, plug your headphones/line out into the 3.5 mm headphone jack on the iRig. 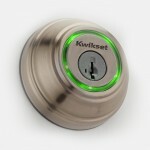 So simple and easy, leaving more time to jam away to your hearts content. The iRig can both play sounds from your guitar, and can be used as a sound studio with the free apps that can be downloaded from the iTunes App store which are AmpliTube FREE, AmpliTube Fender FREE, or AmpliTube Slash.